Barry Jenkins’ luminous and delicate Moonlight tells an expansive, intimate story about growing up poor, black, and gay. To describe its protagonist, Chiron, by those labels would be reductive, however, as his character defies categorization, just as the film does. Based on the play In Moonlight Black Boys Look Blue by Tarell Alvin McCraney, Jenkins assembles a life throughout three vignettes, three places in time, and three actors playing Chiron over the course of about fifteen years. Jenkins’ approach rolls in mesmerizingly poetic narrative waves and rich formal beauty, the effect delivered in measured scenes of painful experience. 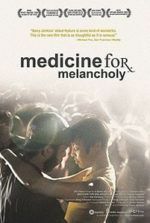 The graceful filmmaking on display surpasses the writer-director’s last film, his freshman effort Medicine for Melancholy back in 2008, while the deeply compassionate story leaves behind any thought of clichés or stereotypes in favor of something artful and fundamentally human. Cinema often tries to summarize the “African American experience” or “gay experience” into a single film, but Jenkins considers such matters of identity far too intricate to reduce down to a handful of broad tropes. Regardless of how society labels an individual, people evolve and continuously oppose classification in the nuanced details of their lives. Both Jenkins and McCraney grew up in the film’s setting, the Liberty City housing projects in Florida, and their shared experience informs the film before us. Jenkins captures Chiron in his entirety, telling the story of a whole individual and forming Moonlight into a social reflector that resists an easy summary. More than a capacity to learn a broad social lesson, Jenkins’ audience must have patience to learn about Chiron, a tenderly shy person who lives in his own head and feels uncomfortable in his own skin. When he’s a gangly teen (Ashton Sanders) in the second chapter, Chiron recoils inward from his unrelenting high school peers who chastise him for being different. At the same time, he grows closer to Kevin (Jharrel Jerome), his lifelong friend who seems capable of unspoken understanding and acceptance. 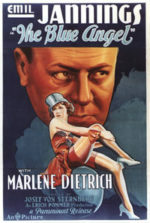 All the while, Paula deteriorates, although Harris’ exhaustive and draining performance, amazingly shot over the duration of a weekend, cannot be reduced to the depiction of an addict. Instead, Paula develops an arc over the film’s three chapters, changing as though time put its wears on her, just as it does with Chiron. Indeed, in the third chapter, Chiron transforms into a muscular drug dealer (Trevante Rhodes) and maintains a hardened front, much like Juan did, even as remnants of the sensitive, introverted boy remain. Hibbert, Sanders, and Rhodes may not look much alike, but the soulful representation of Chiron transcends their appearance and forms the character through their developing expressions. 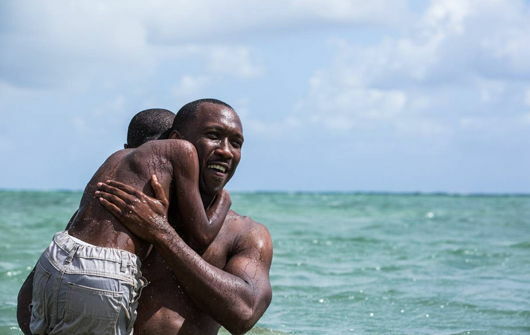 Filled with outstanding performances (Ali and Harris in particular), Moonlight also looks and sounds gorgeous. Cinematographer James Laxton shoots in roving, Malickian camera movements and filters that illuminate the characters’ skin in shades of blue at night, or even a golden light reflected from the street lamps. There’s also a poignant, handheld realism to many domestic scenes, such a sequence where young Chiron must prepare a bubble bath by pouring hot water from the stove into the tub, and then uses dish soap for bubbles. Despite the very common and unremarkable settings throughout the film, Laxton makes the proceedings look dreamlike and textured. The music provides additional atmosphere, from the soundtrack’s use of telling rap and soul songs to Nicholas Britell’s transfixing score, which provides a cross between Philip Glass and Jon Brion’s work with Paul Thomas Anderson. Jenkins has made a lyrical and often quiet film in which his protagonist barely speaks, and yet Chiron’s evident depths remain profound in spite of his sometimes bleak existence. The director’s filmmaking radiates a poetry in his storytelling and visual aesthetic, creating a film that resonates with the viewer in the head and heart. Not only is Moonlight an emotional and intensely personal picture, it’s also an important work of art. Given its subject matter, it had every potential to become just another coming-of-age tale, another story about homosexual life or black people in America. Of course, it is all of those thing in its way. And these subjects remain essential to our culture and do not deserve to be marginalized. But Moonlight has an undeniable power in its willingness to accept such issues as simply another component of life. Jenkins addresses such matters by instilling them into a singular human experience and making them not the subject of the film, but a detail about the life he examines. Moonlight avoids stereotypes in its themes of race, sexuality, and identity; moreover, it never devolves into a “message movie” or sociological study. The film never becomes a platform on which the filmmaker soapboxes about social issues. That Jenkins avoids falling into such a trap is something of a wonder. His film considers Chiron’s very existence through multiple lenses at once, above all his troubled relationship with his culture’s expectations for masculine identity. The result is a multi-dimensional character study, as opposed to an edifying lesson for its viewers. To be sure, Jenkins resists any didacticisms by concentrating on Chiron’s sense of personhood, and the driving questions of individuality and belonging that linger within the character for the film’s duration. 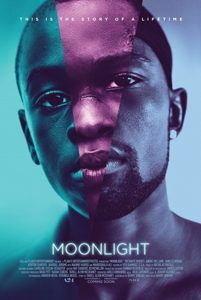 Much like Richard Linklater’s Boyhood, which took a similar look at a boy’s development over time, figuring out Moonlight’s purpose remains tantamount to understanding its character’s search to understand himself and his place in the world.